The Rose Onie Caplet Shawl and the Contemporary Caplet Shawl are two of my newest designs. I have been wanting to design a nice smaller caplet style shawl for a while but I wanted it to have both a contemporary edge that could be changed and embellished to become a more dressier piece for your wardrobe. The neckline of this pieces has some nice curves and angles to compliment both styles I was trying to achieve. 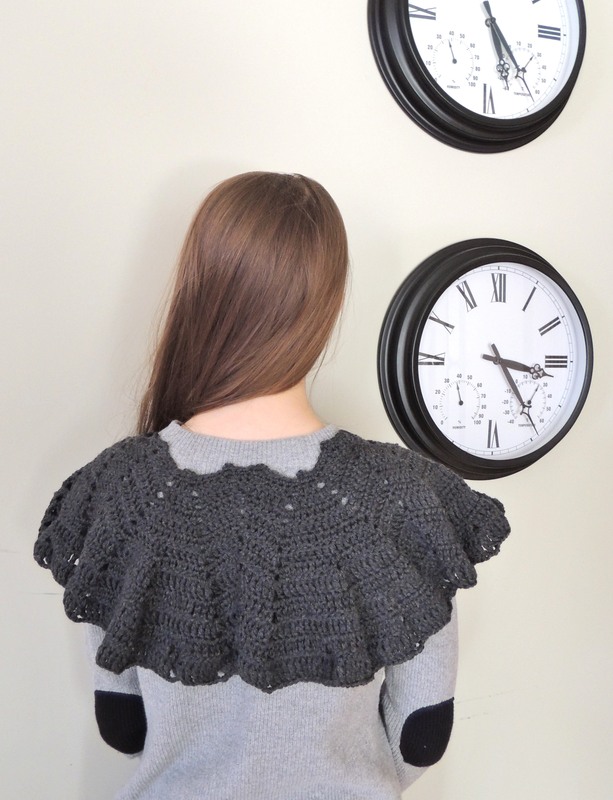 The flowing nature of the caplet is more subtle and the lace more simple so that I could enhance it for various styles and easily change the stitches to become something new. The Rose Onie Caplet Shawl compliments the various designs in this collection. There are 6 roses, some with leaves adorning the front. I left the back plain. I will be tweaking this design and changing it to see what I can enhance as I continue to work with this piece. Made with 100% merino wool in a grey and will be available in black, grey, ivory and silver grey. My inspiration was to design something larger, but not too large perfect for year round wear that could be changed and updated as I saw new inspirations. Have yourselves a wonderful inspired day! Thanks! I can picture that too!